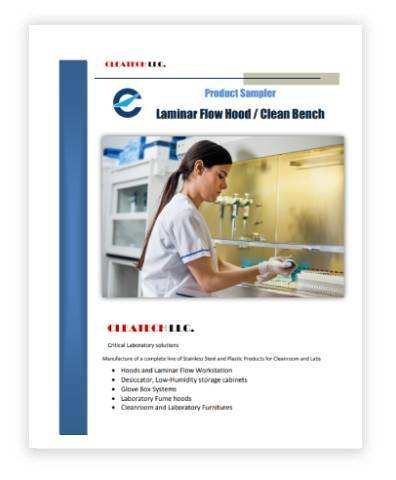 Laboratory-Supply.net by Cleatech LLC offers a full line of humidity controlled and static charge safe cabinets, controlled atmosphere chambers, Laminar flow hoods/ Clean Benches, Fume hoods for most demanding cleanroom and laboratory environments. 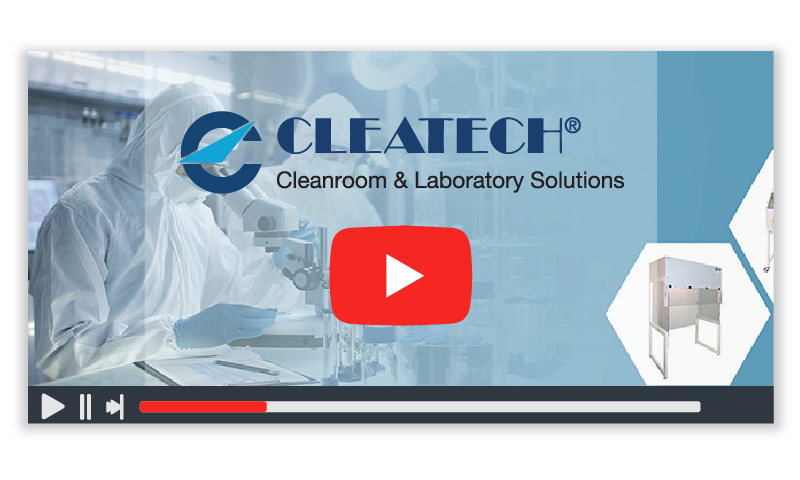 Representing Cleatech’s products, “Desiccator cabinets”, “Isolation and Containment Glove Boxes”, “Inert Gas purging Controllers”, “Vertical and Horizontal Laminar Flow Workstations”, Benchtop and free-standing Fume Hoods and many more. The products are combining top quality and competitive prices designed for the requirements of the electronics, semiconductor, bio-pharmaceutical, and medical device industries. Laboratory Supply Network also offer biological safety cabinets, clean benches, laboratory ovens, CO2 incubators, Humidity Cabinets, polypropylene cabinets , Vacuum chambers, Cleanroom furniture & various other equipment & accessories for the laboratory. 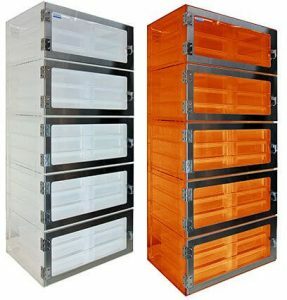 Cleatech’s desiccators (Low humidity relative cabinets) are ideal to control humidity, particles and/or static charge on the critical products. Clear, White and Amber Acrylic, Static-Dissipative PVC and 304 stainless steel desiccator storage cabinets provide the highest quality and durable construction to meet the requirements for cleanroom and lab safety applications. Cleatech’s desiccators available in Vaccum, Nitrogen purged and Desiccant models maintain low humidity levels, down to 0%RH. Cleatech manufactures plastic glove boxes (dry boxes, Isolators, Barriers) as Isolation, Open Exhaust & Closed-loop Containment Chambers either to isolate contamination-sensitive materials in a controlled environment or to contain safe processing environment for biohazards. 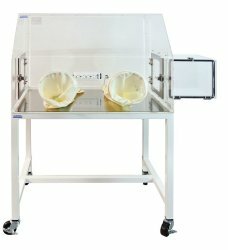 The new bench-top Portable glove box is a space saver, a lightweight dry box which is ideal for Experiments in Educational Research & Labs. A complete line of options and control modules maintain low humidity levels or particle-free conditions. 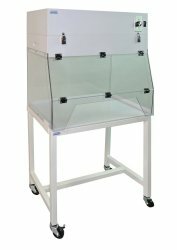 Cleatech’s Gloveboxes are available in four materials: Acrylic, Static-Dissipative PVC, Non-dissipative PVC, Polypropylene. Cleatech’s Ducted and Ductless exhaust fume hoods are workstations provide negative pressure that helps to protect the operator from harmful airborne fumes and particulate. Ductless fume hoods are equipped with a powerful motorized impeller that pulls the air in through the hood’s inlet and into the filtration system including HEPA filters and optional Activated Carbon. 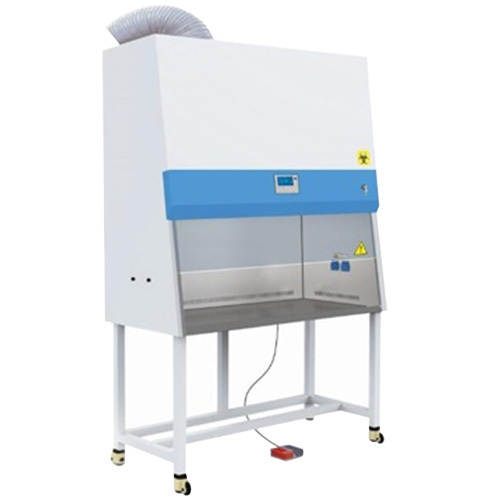 Cleatech’s Cleanroom workstations/ Laminar flow hoods incorporate HEPA /ULPA fan/filter modules that remove particulate airborne contamination to meet cleanliness requirements. Available in horizontal or vertical airflow configurations, in a range of materials to meet requirements for chemical resistance, static control, and cleanliness. 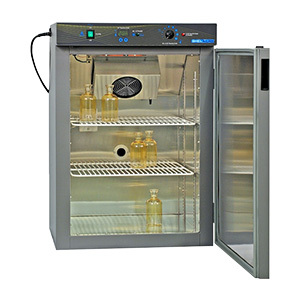 Cleatech’s Vacuum Desiccator cabinets designed for vacuum testing, degassing small parts, defoaming, mixed liquids, biological tests and storing samples under sustained low and intermediate vacuums. Theses vacuum desiccators are available in standard and custom sizes. 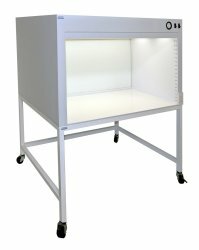 Biological Safety Cabinets (Biosafety Cabinet or Microbiological Safety Cabinet), are available in Class I, Class II Type A2 and Class II Type B2. HEPA filters remove harmful contamination before the air is released. 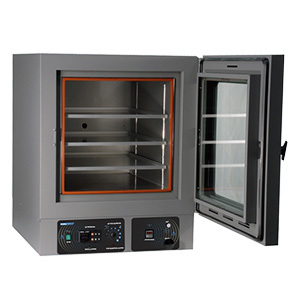 Our Laboratory Incubators from trusted brands offer temperature ranges and uniformity to meet the needs of most incubator users. Incubator applications bacterial culturing and research, hematology studies, microbiological determinations, pharmaceutical stability assays, food processing quality control, drying of stained microscope slides, large scale roller apparatus applications. Laboratory ovens deliver precise temperature control for heating, baking, evaporating, sterilizing, and testing. We offer a range of convection, mechanical and vacuum laboratory ovens with a wide range of capacity, temperature and affordability. We carry Top brands and a wide selection of lab equipment, laboratory supplies and analytical instruments for scientific, R&D, educational laboratories across the globe. 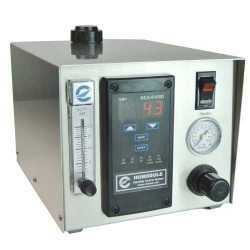 Products such as incubators, laboratory ovens, Analytical balances, Autoclaves, laboratory Refrigerator, and freezers etc. Laboratory-supply.net a division of CLEATECH, LLC. 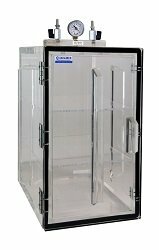 offers a full line of humidity controlled and static charge safe cabinets, controlled atmosphere chambers, Laminar flow hoods/ Clean Benches exhaust fume hoods for most demanding cleanroom and laboratory environments.